Need help getting your research started? Not sure how to find and evaluate the best information? We’re here to help. 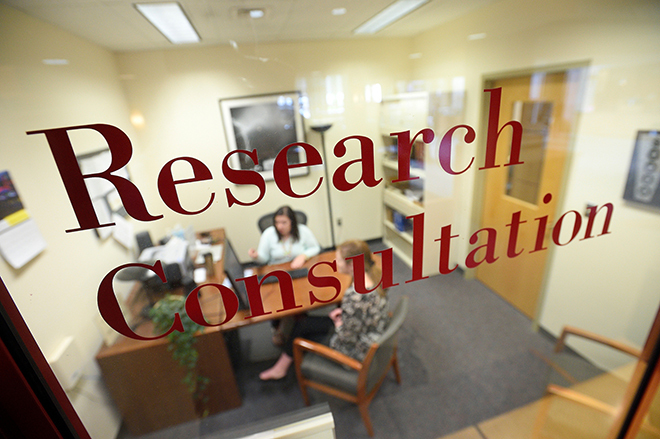 Academic Liaison librarians support faculty and students through all phases of the research life cycle, including finding, evaluating, organizing, sharing, and saving your research. We welcome your input to help us strengthen and build collections with an eye towards both current and future researchers—let us know what books, articles, data sets, etc. you need to take your research further. Remember: You should never pay for a journal article! We’re experts in teaching you and your students to find, evaluate, use, and manage information to support research and coursework.